Generally courts do not consider how media coverage of a trial should impact sentencing. Today, in handing down a sentence in an animal cruelty case, media coverage played an important part. Bear, a seven-year-old mixed Shepherd dog, is with his new owners and doing fine. 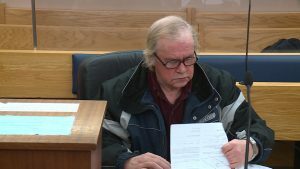 The dog was seized on a hot summers day last July from Kevin Greeley’s Conception Bay South home. The dog had been left outside without food or water, a heavy chain and homemade collar has cut into the dogs neck and had become infected. Greeley had left town for work, when the town humane services received a complaint about the dog. Last week, Greeley was convicted of animal abuse. Today, he was handed a suspended sentenced, placed on probation for one year and order to donate $1,000 to the SPCA. He has also been banned from owning a dog for five years. 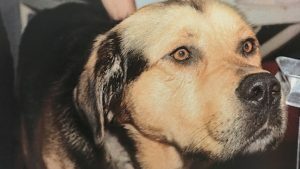 The Crown said that nobody wants to be labelled an animal abuser, and in this case, media propelled Greeley into the public spotlight. The media attention he received has sent a clear message that abuse or neglect as happened in this case won’t be tolerated.